For today’s Mechanical Monday, we re-boot our look at some of the car bike rack options available for safely transporting your bike to rides near and far. 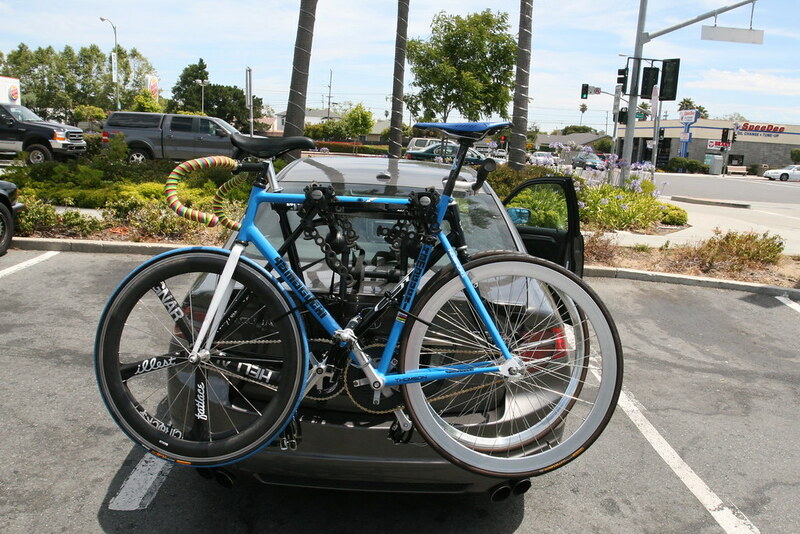 The most obvious method to transport your bike is to simply put it in the car. This is the most economical as it doesn’t require the purchase of any other part aside from the bike you already have to transport and the car you already have or have access to. But the pitfalls of this approach are myriad. For starters, there’s fitting the bike in the car. Depending on the bike and the car’s size, putting your rig in your whip is easier said than done. 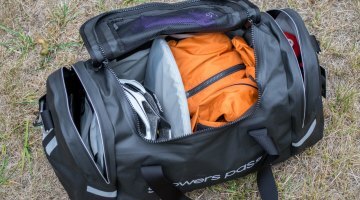 Fat gravel tires, flared dirt drops, perfectly measured saddle heights and even integrated seat posts, are all potential issues for getting your bike in the trunk or back seat of many vehicles. Assuming you can fit the bike in the car, there’s always the possibility of damaging the car’s interior with a pedal tearing the upholstery, grease stains from filthy chains and of course mud and dirt from well-worn cyclocross and gravel bikes after a long, hard ride. Taking the bike apart to transport it can also cause issues. Just ask anyone who’s boxed a bike for flight before. Even the simple task of removing the front wheel can cause an issue if for a moment you are inattentive and squeeze the front brake lever on a bike equipped with hydraulic brakes. If you’re lucky enough to have a vehicle where the bike fits in easy with just a front wheel removal, we recommend two perhaps obvious suggestions. 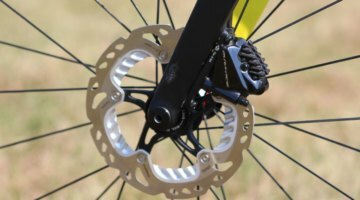 One, if you have to put the bike on its side, be sure to place it drivetrain side up to keep the rear derailleur safe and derailleur hanger from getting bent. If you can stand the bike up in your car with the bike’s front wheel removed, you might consider investing in a 2×4 and some basic fork mounts for a simple in-car back rack solution to keep your bike secure during transport. A bike locked in a car is also safer than one mounted to the vehicle’s exterior. In a pinch, in the car is a good transport method, but we’d rather not have to worry about the car’s condition or perform Cirque du Soleil moves to carry out the feat. It’s free, as long as you don’t damage the car or your bike in the process. 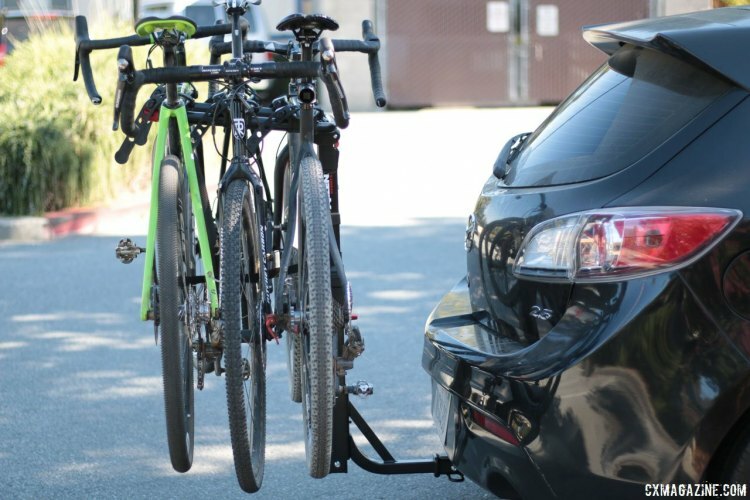 Like putting your bike in the car, a trunk or hatch mount rack, one that uses a set of rubberized feet and straps to attach to the rack to the car is a reasonably low-cost option that’s great for folks who know they are only transporting a bike from time to time. 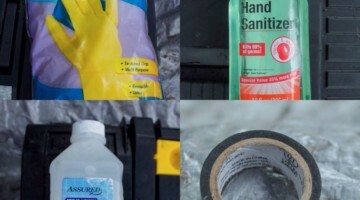 And, like putting a bike in the car, the chance to damage the car, this time the exterior finish, is greater since we’re talking about mounting a rack to the car’s trunk lid or hatchback. While nicer, high-quality versions of this rack style, like the venerable Saris Bones, offer upgraded materials to protect the car’s finish, there’s always the possibility that debris under the rack’s feet or an installation error can cause surface damage to the car. There’s also the issue that with these racks bikes being transported by hanging them from the rack by the top tube. The bike thus routinely rocks back and forth during transport, even when seemingly tied down with additional straps or bungee cords. 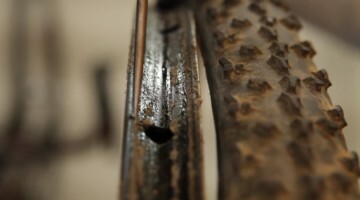 We’ve seen bikes damaged where slight rocking occurred on a bike with top tube routed cables at the 4 or 8 o’clock positions, where the cables caught between the frame and the rack, scratching the bike’s finish. As we discuss below with hitch mount racks, there’s the chance that in bumper-to-bumper traffic a minor fender bender can damage your bike. And there’s the issue of bike security where neither the rack nor the bike is easily locked down. Of course, muddy cyclocross bikes are up and out of the way with little trouble using these racks. The final consideration with this style of rack is whether or not one exists that fits your car. Rack makers go to great lengths to design their racks to fit a multitude of cars. But some racks simply don’t fit certain car models. It’s best to check a rack maker’s website for compatibility before purchasing, and certainly using, a given rack on your vehicle. For the longest time roof racks were the go-to for bike transport outside of the vehicle. After all, flip on any pro road race and all the teams have their squad’s bikes on the team car roof. Roof racks are appealing because they are typically set-it-and-forget-it pieces of equipment, where once installed you simply use it as needed. The racks, as well as the bike mounts and bikes, can often all be locked in place rather easily with rack maker accessories like Thule’s or Yakima’s one-key lock cores for fixing rack and bike points. The major downside, of course, is the story we’ve all heard about, seen or perhaps even experienced. A driver with a bike on the roof drives under an overhang and rips the bike and rack off the car’s roof in the process, damaging the bike, rack, car and even the structure that was hit. Often times this is a driver driving into their own garage, but it happens in other settings as well. Once, a valet, after acknowledging the danger and saying they would park the car elsewhere, drove our editor’s car with a new Specialized Crux on the roof into a parking garage at 30 mph. Our editor had a new bike the next day and the use of a minivan for an entire ‘cross season, so all was not lost. But the hassle of the experience itself was a turn-off. And if you don’t have a commercial entity picking up the tab for the mistake, that’s a needless expense and money could have been your new race wheels, frame or even a new race bike and “B” bike depending on the severity of the error. With racks for multiple bikes on race day or a carrier for the car, Thule offers plenty of products for cyclocross and is a reader favorite. Photo by Thule. Roof racks affix to the car’s exterior and would seemingly subject the car to surface damage from installation like a trunk or hatch-mounted rack, the installation is one time only and, barring catastrophic accident, doesn’t move. Thus, when installed on a clean dry vehicle, the long-term impact to the car’s finish is generally limited to perhaps some paint fade issues under the rack’s feet. Moreover, many popular vehicles offer roof mounting points so there are no door frame clamps to worry about. One way you can damage the car’s roof is by dropping the fork on the car. We’ve seen this happen as well, especially with riders trying to place thru-axle bikes on roof racks that require removal of the front wheel. In those instances, it’s as if you need three arms to place a bike easily on the rack. Of course, given the complexity of the racks themselves, not to mention the myriad versions of bike trays they use, roof racks are expensive items often costing upwards of $400 to carry two bikes. There’s also the issue of reduced gas mileage with the additional drag created by the rack itself, not to mention one with one or more bikes affixed to it. Still, roof racks are popular. Given the rack’s security and the ability to secure bikes to it, roof racks are an attractive option for cyclists. They place bikes up and out of the way, giving users access to the car’s trunk or hatch. And the rack is always ready to go at a moment’s notice. Still, riders need to take care when pulling into the drive-thru or the garage and placing bikes on roof racks. With the proliferation of larger sport utility vehicles, car roofs are more and more inaccessible. And with SUV’s truck-like features, including trailer hitches, many cyclists are using hitch racks. 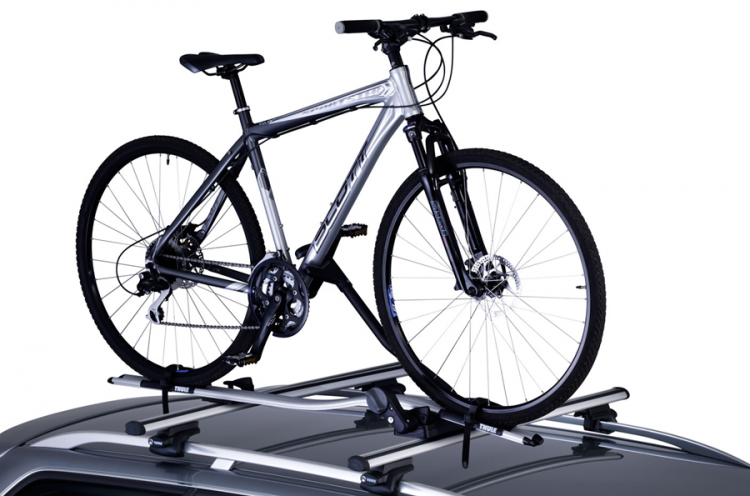 Hitch racks often offer the security of a roof rack, where both the rack and bike can be locked in place. Even more than with roof racks, hitch racks don’t have any contact with the car’s exterior finish, and dusty ‘cross and gravel bikes aren’t in the way and require minimal lifting. Hitch racks do expose the bikes to other careless drivers. Racks can also scrape the ground or worse, drag along the road on steep inclines. If you drive carefully with a roof rack, you should be able to prevent most accidents. The hitch rack has presented the best of most worlds in our testing. It is as permanent as needed, but you can remove it when wanted. It is secure and typically offers bike security. It has a lesser impact on gas mileage and it is easy to use in terms of mounting and removing bikes, as it typically mounts bikes with both wheels on (as with some roof tray options). Hitch racks do tend to be expensive in two regards. First, the racks themselves, like roof racks, can cost upwards of $400 depending on the model and features. Popular, quality options from brands like Kuat are as much or more than many roof rack offerings. But the other cost is the hitch receiver if your vehicle doesn’t already have one. You can install a hitch receiver on nearly any car. We’ve seen them on VW GTIs, Mini Coopers and other similarly small cars. But they can cost $150 to $300 dollars depending on the vehicle and the available receivers. 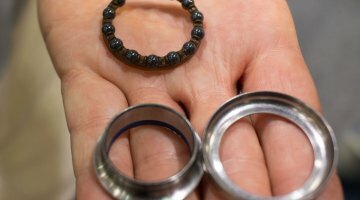 Some cars can only work with a factory part, often costing more than an aftermarket receiver. Buyer beware or at least ready to pay. Of course, the hitch rack also limits access to the vehicle’s trunk or hatch. If you have visions of sitting on your car’s rear bumper drinking a cold beer post race, you’ll likely have to do so before placing your bike on your rack. Still, for our money, particularly with a vehicle that already has a receiver, the hitch rack is the way to go. No bike transportation solution is perfect for every bike, car or individual. While we lean towards the hitch rack, there are those instances when we’d prefer a roof rack, or to simply toss a bike inside a car. Whatever method works for you, we hope you’re riding more than driving. For more bike tech tips, see our Mechanical Monday archives. scottsROW You bet. It’s a real drag. We mention it in there. We’re working on a product that will offer the cargo flexibility of the roof with cargo accessibility more like a Trailer hitch or trunk mounted carrier. We’d love your thoughts; is this a welcome addition to the options presented in the article? Lots of good info, I would just add you forgot the new car cost my friend calls the “Yakima tax” that you pay to get a roof rack to fit your new car. No extra involved with a hitch mount if you need a hitch for a trailer anyways. That video is almost as exciting as when the two kayaks on the roof of a car heading towards us took flight right before they went by. They had a serious headwind and it looked like lots of rack parts went all over too. I always add an extra tie down with a rope to make sure even on my hitch rack. I think that the classic trunk rack often gets a bad shake. I’ve used them for years and in some ways prefer them to roof or hitch racks. The two main concerns are security and finish damage. As far as security is concerned, most cars have factory tow loops installed under the bumper, and a padlock and cable lock can add some cheap good security. If you keep the pads and car clean with microfiber cloths, you can almost eliminate finish damage. Same for the bike, I’ll use microfibers to insulate the bike. Frankly, wheels on hitch racks (I prefer the Saris models) are the preferred method. Especially if you plan to haul three or four bikes. E-Trailer can deliver a hitch for nearly any car for less-than $200, and they can be installed in 30 minutes in a lot of cases. Anyone using Saris Bones? Just pulled the trigger on a SB2 looks good.